Yes, thats the one I was thinking of. A comparison pic would be great. Thank you. 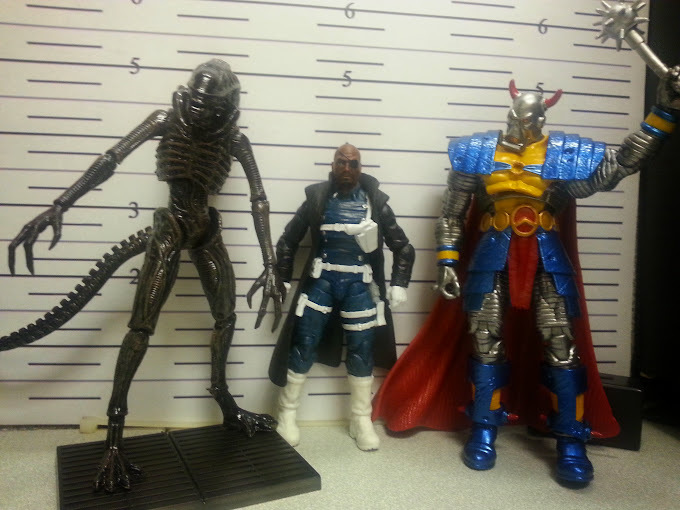 Yeah, I believe the Kenner figs are 5.5 inches. I was looking at a catalog for a bunch of old Kenner stuff and most of their lines (oustide of Star Wars) were advertised as 5.5 inches tall. I missed that post too. :lmao: Glad to see she got some good use. I wasn't sure where my 89 Batman went to so I used Ultimate Duke from Retaliation. Damn.... just a liiittle too big. Oy, the stand, the stands. 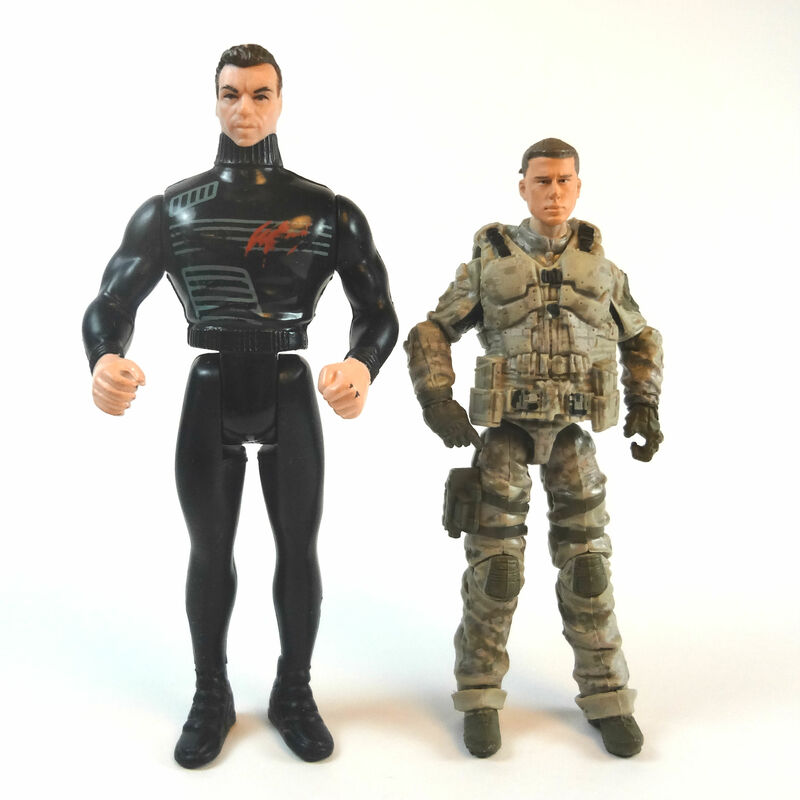 There good figures for what they are, but Bif Bang Pow! is still learning hopfully the Big Bang theory figures will fix this issue. Are those things even happening? 10 months since TF and I've not heard anything new on them. EE didn't yield anything, so I'm going with "dead on the vine" aside from that terrible SDCC Sheldon. These are for Drop, and they are a bit deceptive. 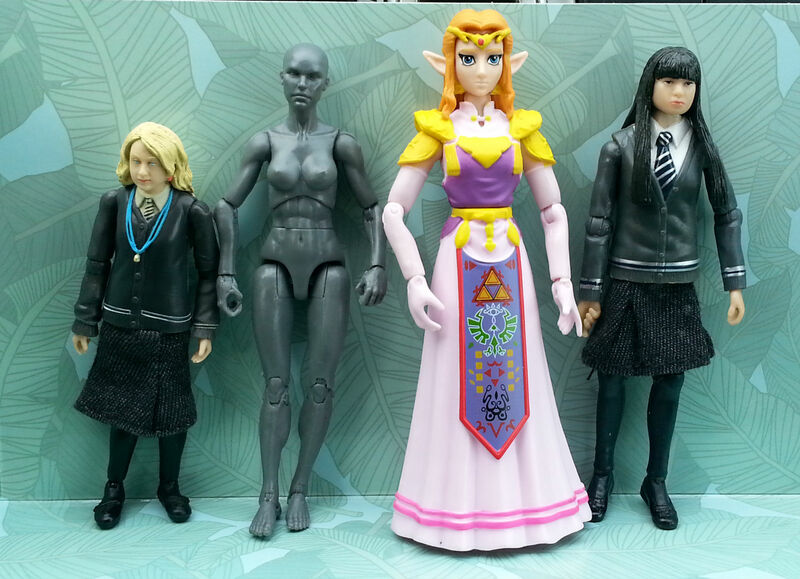 Absorbing Man isn't nearly that much taller than the Schleich female, and she's about a quarter of a head taller than Joe Colton. Thanks K! She should make a nice background figure. I've already started looking into making her into a proper action figure. 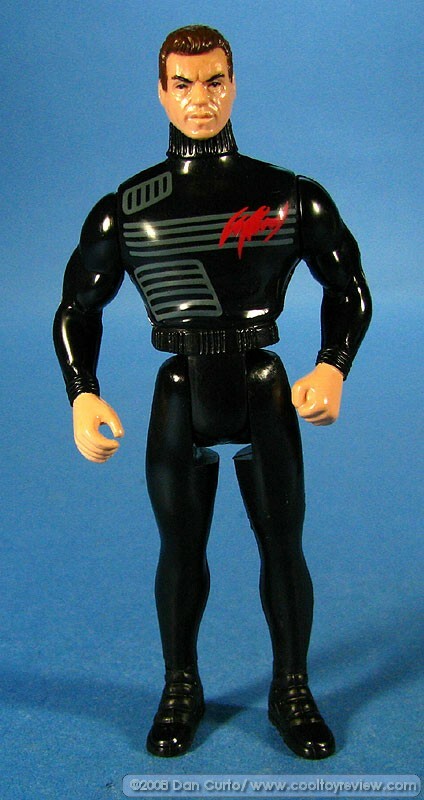 Man, it's still a travesty that we didn't get a Quorra without the helmet from the Tron line. 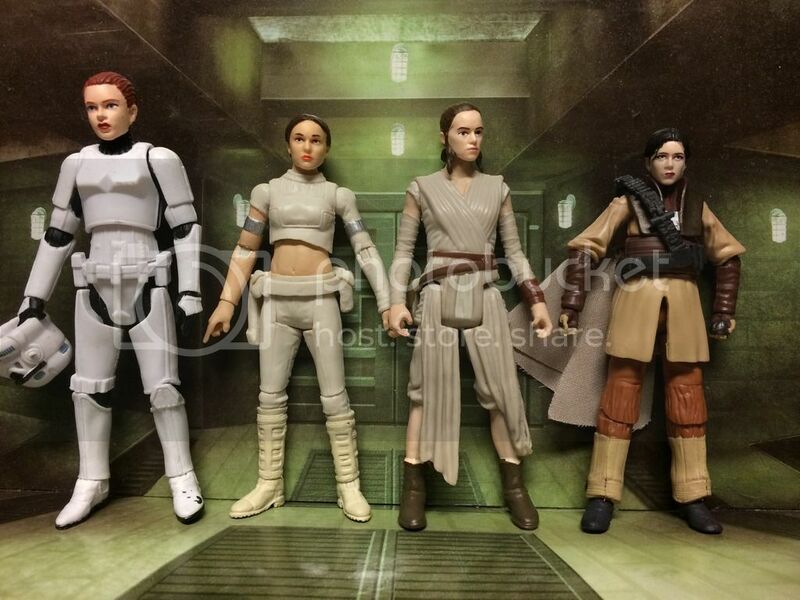 An 1:18 scale Olivia Wilde head sculpt would have been nice. There's hope for a new one since they're starting filming of Tron3 come this fall. Would any of the Dr Who jackets fit any Joes? Not likely. They really are too small. Brody - 2 guns shotgun & pistol. & no he can't actually hold the pistol. They're gonna need more articulation if they want to win that battle. Most of my SW collection!! I have a few Lukes&the rebels female bounty hunter too..looks like this force awakens 5POA line is a tad bigger then the black line! 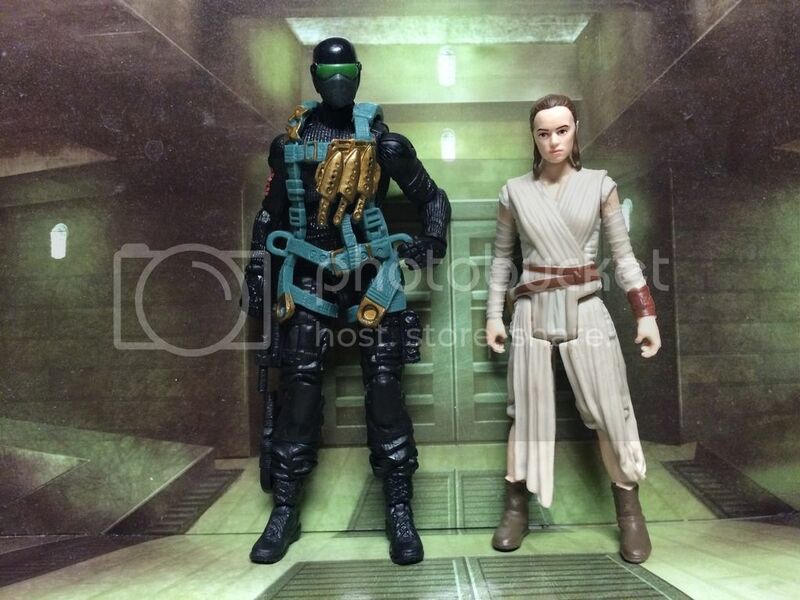 Can anyone get a picture of one of the human HACKS figures with a current Star Wars and GI Joe figure? 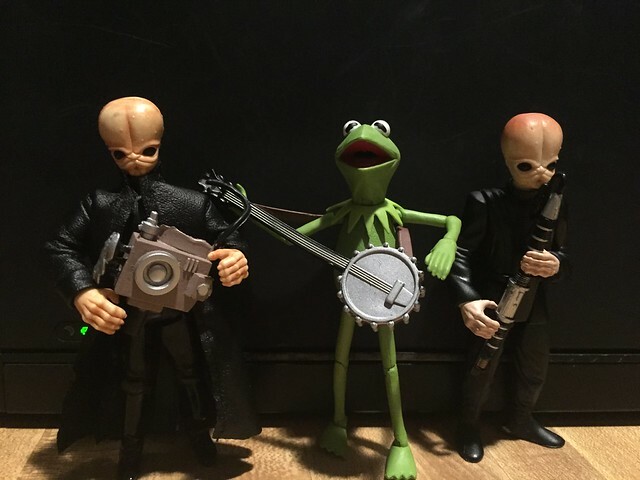 Kermit from the new Muppets line. These are the Diamond Select ones? I kind of want Statler and Waldorf. Take a look at the one shot picture thread to see the balcony with 1:18th. I thought it was a cool assessory, & I am planning to add it to my stage set up. I could see its usefulness, I just don't have the space nor inclination to use it. If I were to get those two old codgers the balcony would never leave the box. Anyone know if any of the castors cast that Jes Gistang head? Been taking a bunch of scale pictures.